← Thinned out the stable – Then there was one. After my Previous Cortech Solutions WP boots bit the dust – soles became unglued. Had to pickup some boots for the semi tropical weather we have in South Central Texas. After a day of riding in temps topping 107 degrees, the boots provided a dry, comfortable and rigid enough fit to make my ride awesome. First impressions, sizing is slightly smaller than US industry sizing. I fall between a regular width 9.5 to 10 but these boots fit pretty good. One observation and it may fall with the particular pair I bought but the right boot fit a bit bigger than the left. Didn’t look like they were a demo set. Slightly stiff, but can see them breaking in easy for all day use. 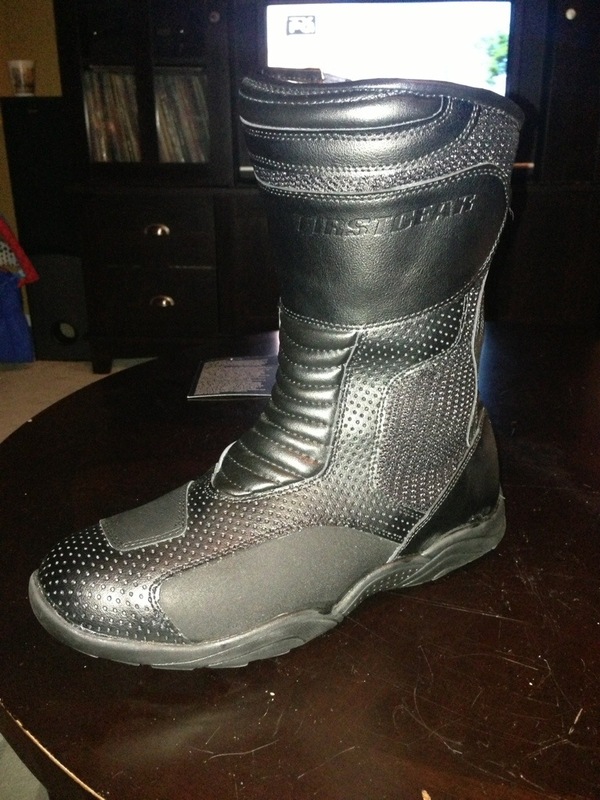 Would like to see stitched soles on motorcycles boots. But I guess the cost vs value thing. With the amount of heat my Yamaha FJR1300 puts out, the height of the boot gave me just enough protection from the heat blasting thru my lower fairings. The soles had enough grip to maneuver my heavy sport tourer by foot. Vented comfort was felt earlier in the day at the pegs but slowly decreased as the day got warmer. They are easy to slip on and to remove. Zippers and Velcro worked fine. 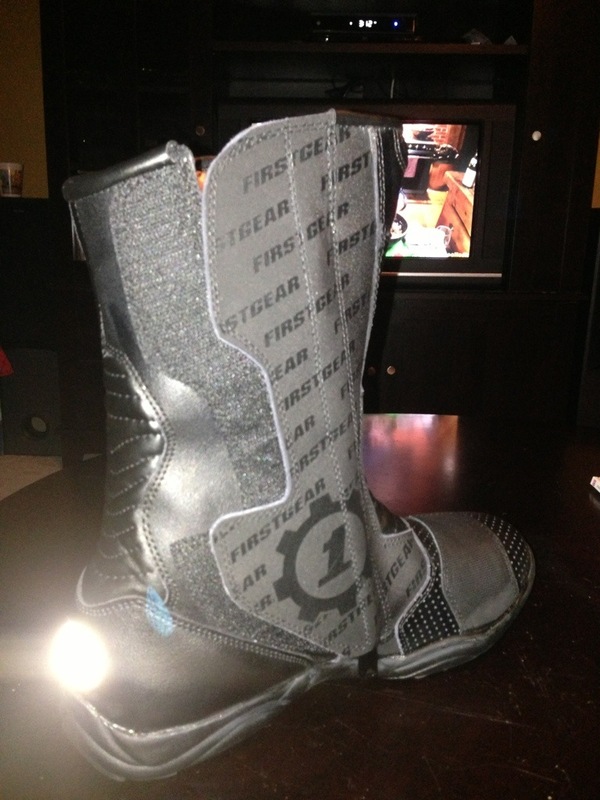 A quick note – make sure you examine the zipper as it connects to the boot. The demos I tried had one of the zipper unstitched. 2 year warranty – felt comfortable paying the retail $139 sticker price. This entry was posted in Gear Review. Bookmark the permalink.